CRS is pleased to offer expert turn-key USP <797> compliance solutions to pharmaceutical sterile compounding facilities under the direction of CETA-Certified Cleanroom Professionals for Sterile Compounding Facilities. 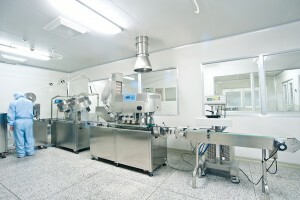 With over 30 years of field experience, CRS offers an unrivaled combination of USP <797> services including primary and secondary engineering control testing and certification to CAG 003 (cleanrooms, biosafety cabinets, LAFWs, isolators), air and surface environmental monitoring and contamination remediation. USP 797 testing services are executed in accordance with CRS standard operating procedures (SOPs) which are updated to remain compliant with current national and international industry standards. Testing results are quality-reviewed and documented in a comprehensive easy-to-follow final report. Testing and certification of ISO Class 5 Primary Engineering Controls (PECs) including biological safety cabinets, laminar flow clean benches and clean air devices and isolators. Our vast technical knowledge and experience coupled with our steadfast commitment to quality and the highest standards of customer service, provide our USP 797 pharmacy clients with reliable, accurate and thoroughly documented testing results, ensuring optimal performance of their engineering controls, documented regulatory and quality compliance results, and minimized equipment down time. Customized and quality-reviewed report documentation.